Over the next three weeks or so activity on AWOL will be light as I move and make the transition from the Institute for the Study of the Ancient World to Penn State University, where I take up the post of Tombros Librarian for Classics and Humanities. Babyloniaca, études de philologie assyro-babylonienne. The Achaemenid period in the Levant is generally considered an obscure part of history. However, since 1980, epigraphic discoveries and research have thrown new light on this period. A variety of aspects will be presented across three evening lectures on this subject. The Persian “king of kings” had to rely on the Phoenician navy in his wars against Greece in the Eastern Mediterranean and Phoenicia played the most important part in the satrapy of ‘Avar-Nahara. Since 1980, the dates of important royal Sidonian inscriptions have been revised and various new inscriptions from Byblos, Sidon and Tyre as well as new numismatic studies have been published. They shed new light on the history and extent of the Phoenician kingdoms, especially on their relations with Palestine. According to the Biblical texts Kings and Jeremiah, after the fall of Jerusalem, King Nebuchadnezzar deported part of the Judean population to Babylonia while other Judeans took refuge in Egypt. Apart from in the book of Ezekiel, the Bible does not tell us much about their life there. New epigraphic data can now reveal how the Judean refugees’ lived. The historical interpretation of the Biblical books of Ezra and Nehemiah is much debated and these books essentially concern Jerusalem and Judea. The publication of various – mainly Aramaic – contemporary inscriptions (papyri, ostraca, seals, seal-impressions, coins etc) sheds new light on the daily life and religion of the Persian provinces of Samaria, Judaea and Idumaea, especially during the 4th c. BCE. They help us to understand several Biblical texts in their historical and economical context. Mein Dank gilt den EEFNEWS und deren zahlreichen Informanten sowie dem Moderator des EEF.Ohne diese schier unerschöpfliche Quelle für hochklassige Artikel aus der Ägyptologie wäre so manche Nachricht an mir vorbeigegangen. Coin hoards of the Roman Republic Online (CHRR Online) is a database of Roman Republican coin hoards mainly from the period 155 BC to AD 2. This database began life as a personal research database constructed by Kris Lockyear using a combination of published data and Michael Crawford's personal archive now housed in the British Museum. 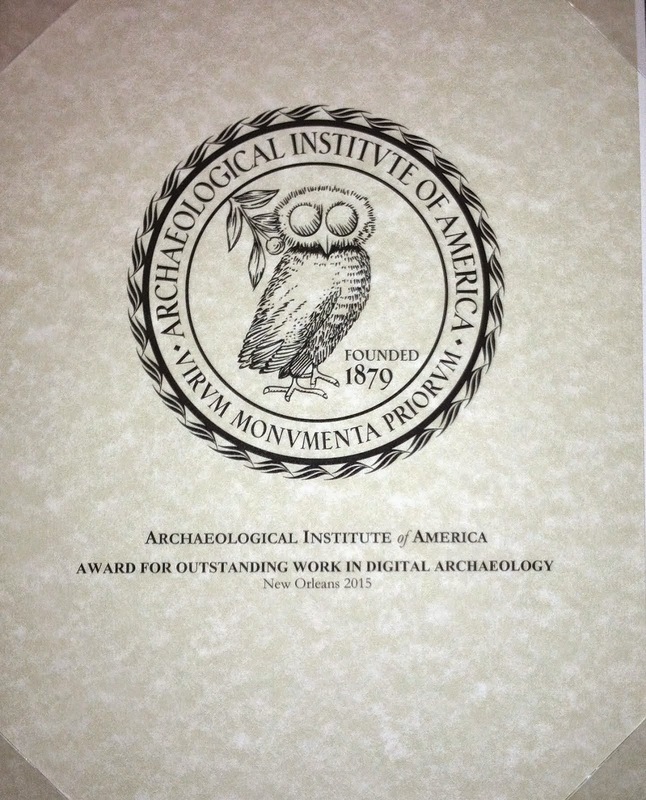 The online database, which utilises the Numishare application developed by Ethan Gruber, is a joint project between Kris Lockyear (Institute of Archaeology, University College London) and the American Numismatic Society. Project coordination provided by Rick Witschonke of the ANS. The database is not intended to be a comprehensive listing of hoards of that date. For a detailed discussion of the construction of the database and the data contained within it, please see the FAQ, Lockyear 2007, Lockyear 2013 or Lockyear and Gruber forthcoming. The database is currently Version 1 (beta). Lockyear, Kris (2013). Coin hoards of the Roman Republic Online, version X. New York: American Numismatic Society. Data retrieved from <http://numismatics.org/chrr> on <enter date>. CHRR Online is a Numishare tool based on the stable numismatic identities established by the Nomisma project. The Roman Republican coin data served by Nomisma has been supplied by the British Museum’s Roman Republican Coinage project. Heritage Daily is an independent online archaeology and palaeontology magazine, dedicated to the heritage and history of the world. We identified the need for a central resource offering the latest archaeological/palaeontological news, journals, articles and press releases. Our contributors range from students currently studying archaeology at University, professional academics working in the field, historians and those with an interest in the archaeological discipline. We accept stories from anyone wishing to contribute and publish their material on a leading editorial platform. HeritageDaily is staffed by a volunteer team of archaeologists, corresponding from all corners of the world. Staff are based in Norway, the United States, Egypt, Australia and with our main editorial team based in the United Kingdom London. The Zohar is among the preeminent spiritual works of all time. Its history attests to its importance: within three hundred years of its creation (at the end of the 13th century) it had become the central text Kabbalistic text. The Kabbalists regarded it as an authoritative source, a model to be emulated, and an interpretive subject. Gershom Scholem (1897-1982), the father of Kabbalah scholarship, followed suit and made the Zohar the focus of his endeavors. Scholem's words about various passages, verses and words from the Zohar can be found in the many notations he made in his copy of the Zohar, on notes that he tucked between its pages, which were published in facsimile in 1991/21 as well as in his Milon HaZohar card index, which is now available on the National Library's website. The catalogue is not a book per se, but personal notes that Scholem took in anticipation of the future writing of a Zohar lexicon. The notes are in the form of white cards, which Scholem stored in impeccable order in a long narrow wooden drawer that fit them perfectly, in his impressive writing desk (which today serves as the Scholem collections librarian's desk at the National Library). Each card deals with a word from the Zohar and includes citations that include this word in its various senses, with references to the Zohar, clarifications of formulation and important notes on the lexicon of the Zohar. The notes written on the cards include, first and foremost, the meaning of the word and its various connotations, both in linguistic and Kabbalistic terms, and sometimes also symbolic ones. In addition, the cards contain other usages and explanations that elucidate the origin of the word and it etymological development from the ancient texts (Bible, Talmud and Midrashim) or medieval texts – philosophy and Kabbalah, in particular allusions to the works of Moses de Leon who Scholem, for most of his life, regarded as the author of the Zohar. The notes also contain etymological considerations and parallel words in other languages, as well as reference to usage in later Kabbalistic texts and discussion of these words in works by both early and modern Zohar commentators. To conclude, even though the Scholem card catalogue cannot be regarded as a fully realized dictionary of the Zohar, it is still of tremendous value as the only attempt thus far to prepare a comprehensive dictionary of this kind. Today, the card index is accessible via the Internet and everyone is free to get a glimpse of the greatest Kabbalistic scholar at work, and learn much about his subject as well as his method. This is Tyndale House’s ongoing project to make the best resources for biblical studies freely available to everyone who needs them. The goal is to make the tools capable of working on phones and low-spec computers (even with intermittent or no internet access). The STEP Project aims to grant all believers access to a wealth of resources previously only available to specialist scholars. The Mummipedia Project taps into the power of the overwhelming popular interest in mummies, and into the firsthand access that individuals and interested societies have to local museum holdings, to expand the depth and breadth of our knowledge of all mummy holdings worldwide. Have you seen a mummy? Add it to our pages, or add details to existing mummy pages. We want a page for every mummy on earth! Photos, lists, and articles on mummification will help us all to put these mummies into perspective. Want to see a mummy? Here is a list of mummies that we know about. Find a mummy near you, look-up or visit the museum, and share the information you find! Go ahead and add a page for the museum while you are at it. The volume is the result of the eighth Annual University of Chicago Oriental Institute Seminar, held on March 2-3, 2012. 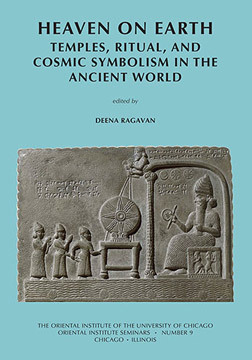 Seventeen speakers, from both the US and abroad, examined the interconnections between temples, ritual, and cosmology from a variety of regional specializations and theoretical perspectives. The seminar revisited a classic topic, one with a long history among scholars of the ancient world: the cosmic symbolism of sacred architecture. Archaeologists, art historians, and philologists working not only in the ancient Near East, but also Mesoamerica, Greece, South Asia, and China, re-evaluated the significance of this topic across the ancient world. In July 2007, The Getty Foundation awarded a generous grant to the British School at Rome Archive to support the arrangement and description of part of the John Bryan Ward-Perkins photographic collection. As a result of this 2-year project, this website (www.bsrdigitalcollections.it) of the BSR digital collections was created to present not only the photographic material (Photographs) but also other types of resources which follow into different categories: Maps, Prints, Documents, Postcards, Drawings, Paintings and Manuscripts. The majority of the digital images displayed on this website are represented by the photographs catalogued during the second Getty Foundation funded project (2007-2009). This is the homepage of the Archimedes Project at Harvard University. The Archimedes Project aims to develop model interactive environments for scholarly research on the history of mechanics and engineering from antiquity to the Renaissance. It is designed to integrate research and knowledge dissemination in new ways and to serve as a proof-of-concept project for open digital libraries on topics in the history of science. The project is funded by the Digital Libraries Initiative Phase 2 program of the National Science Foundation and is a joint endeavor of the Department of the Classics at Harvard University and the Max Planck Institute for the History of Science (MPIWG) in Berlin, Germany. Numerous treatises on mechanics as well as other forms of documentation of mechanical knowledge and practices constitute the project corpus. Ongoing research at Harvard University and the MPIWG on the long-term development of mechanical knowledge and its manifestation in technical terminology and the inferences of practitioners, engineers, and scientists plays an important role in the testbed design. The project demands powerful, linguistically based information technology for handling the variety of languages occurring in the source materials. Source documents are being prepared with tools such as automatic morphological analysis of Latin, Greek, Italian, and Arabic, as well as the automatic linking of sources to modern and historical dictionaries and reference works. Index of propositions with links to online manuscript images. New technologies for the study of Euclid's Elements: paper by Mark Schiefsky including a description of Archimedes project technology and its application to the study of technical terminology and deductive structures in the Elements. The Archimedes Project was featured in an article in the Harvard University Gazette (11-13-2003). Read more about the project's goals, methods, and personnel. Visit the main Archimedes Project web site (at MPIWG, Berlin). The Directory of Open Access books was officially launched on 1 July 2013 at the Open Access Monographs in the Humanities and Social Sciences Conference, The British Library, London. At the launch, Bas Savenije, Director General of the Dutch National Library and Chairman of the Board of OAPEN Foundation, introduced OAPEN and the reasons to develop the Directory of Open Access Books (view presentation). Eelco Ferwerda, Director of OAPEN, discussed the development of DOAB since the launch of the beta version in 2012 and outlined its goals: to promote OA book publishing, by increasing the discoverability of OA books, by supporting quality assurance and standards, and by providing an authoritative list of OA book publishers. Ferwerda mentioned the Directory of Open Access Journals as an important example for DOAB. He expects DOAB will need to regularly refine its selection criteria, just as DOAJ is currently doing. He also announced that DOAB will follow DOAJ’s approach to sustain its activities through financial support from the stakeholder community. DOAB currently lists over 1450 OA books from 49 publishers and more publishers are will be added shortly (view presentation). DOAB is sponsored by Brill and SpringerOpen. Veronika Spinka, SpringerOpen Books Manager, remarked that “DOAB is already a successful established tool in the scientific community”. “We believe that some form of certification is always needed”, said Sam Bruinsma, Brill’s Vice President Business Development, ”to make sure that Open Access book publishing will succeed”. The full video of the launch can be found here.